Round Table on occupational and environmental health in the shipbreaking and asbestos industry in the emerging national and international scenario. The Round Table is on 25 March from 10 AM -5 PM at Indian Social Institute, New Delhi. It will begin with the famous documentary "IRONEATERS". 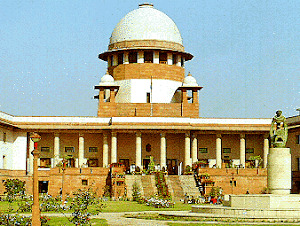 In the first half the Round Table would take stock of the occupational and environmental health aspects in the proposed UN’s International Maritime Organization (IMO) international treaty on ship breaking, Indian Comprehensive Code on Shipbreaking and the recent order of the Bangladesh High Court and their implications for India. It will also deliberate on the workers strike in Alang that has just started. In the second half the Round Table would deliberate on the alarming rate of increase in the consumption of asbestos products, recent Kerala Human Right Commission’s order on Asbestos, a new asbestos document by Union Ministry of Environment Forests and Asbestos liabilities of U.S. based company Asarco (formerly known as American Smelting and Refining Company) which is being bought over by London-listed Vedanta Group subsidiary Sterlite Industries wherein the agreement between Sterlite Industries and Asarco involves Sterlite Industries assuming operating liabilities, but not legacy liabilities for asbestos and environmental claims for ceased operations. Earlier, Asarco had filed for bankruptcy protection in 2005 after it was sued for $1 billion over environmental clean-up and asbestos claims. 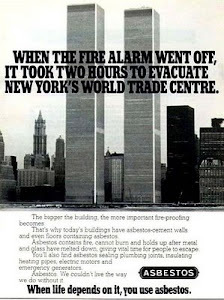 Unlike in Indian asbestos companies who are enjoying manifest immoral and unpardonable political patronage even U.S based Dow Chemicals Company has set aside $2.2 billion to address future asbestos-related liabilities arising out of its acquisition of the Union Carbide Company. It will dwell on asbestos and corporate accountability issue in the shipping industry as well. UDAIPUR: Unregulated mining and rampant illegal mining in Rajasthan has systematically destroyed forests, devastated the Aravallis, and played havoc with the water resources of the state. Atleast that is what the sixth state of India's environment report "Rich Lands, Poor People Is sustainable mining possible?" prepared by the Centre for Science and Environment says. The report was recently released in Udaipur at a function co-organised by the Jodhpur-based Mine Labour Protection Campaign (MLPC), a public dialogue followed the release to discuss issues related to mining in the state. With the industry ready to pounce on mining leases in schedule-V areas banned for the last nine years and opened by the previous Vasundhara Raje Scindia government in 2008 it is only a matter of time before the current government gives into pressure from industry and lure of the money, fears the report. According to this extensive, 350-page report the state government has failed to regulate illegal mining in forest areas. Udaipur, the most forested district of Rajasthan is also the most mined. The government has issued leases for hundreds of mines in Sariska National Park despite repeated Supreme Court orders to close them down. This has had a devastating impact on the forest cover of the state. As per the data provided in the report, Rajasthan holds reserves for 44 major and 22 minor minerals and is the only producer of garnet, jasper, selenite, wollastonite and zinc concentrates. It is also the leading producer of calcite, lead concentrate, ball clay, fireclay, ochre, phosphorite, silver and steatite. But it is best known for its production of marble, sandstone, marble and other stones. It produces 10% of the world's and 70% of India's output of sandstone. Ajmer, Bhilwara, Bikaner, Dungarpur, Jaipur, Pali, Rajsamand, and Udaipur are its main mining districts. Report says that illegal mines have no mechanism in place to implement environmental protection measures. For instance, sandstone quarries may be as small as 200 x 100 feet and employ as few as five to eight people who make Rs 30-50 per day (for men) or Rs 15-30 per day (for women). "Because these mines operate beyond the law, workers' rights are not recognised. Basic facilities such as toilets and water do not exist, nor do safety procedures or compensation for accidents," says the report. In Makrana mines, there is an average of one death a day. According to the MLPC, there are three deaths every day from work-related illnesses like silicosis and tuberculosis. Further, Rajasthan continues to dabble with asbestos despite a worldwide ban on the mineral. Rajasthan, which has 54% of India's asbestos resources, still has five to six operational mines. According to the World Health Organisation, all forms of asbestos causes cancer, with chrysotile asbestos increasing the risk to cancer. This is a major health risk for workers, especially since these illegal mines do not provide safety equipment or compensation in case of accidents or deaths. The report has expressed great concern that extensive mining of sandstone, marble and other minerals has converted the Aravalis into a rocky wasteland. Despite Supreme Court orders and threats since 1996, mining has continued unabated in the Aravallis. London-listed Vedanta Group subsidiary Sterlite Industries is planning to submit a new bid for bankrupt US copper miner Asarco at almost half the $2.6 billion it offered 10 months ago. Media reports say that the new bid ranges from $1.4 billion to $1.5 billion with Sterlite reportedly making installment payments over a five-year period. However, the initial payment is expected to be half of the purchase price. If the deal goes through, fifth place Sterlite will become the world's third largest copper miner with an annual capacity of 650,000 tonnes and proven copper reserves of 5 million tonnes. The meltdown in copper prices is believed to be the main reason for cutting the acquisition price, analysts opined yesterday. Analysts predict that global copper prices will fall below $3,000 per tonne, and could even plunge to $2,500 in 2009. Price of copper in 2007 was around $6,250 per tonne due to stabilisation of supply compared to 2006. Sterlite and Asarco's parent Grupo Mexico have been in negotiations over the deal for months. Grupo Mexico bought Asarco, a Tucson-based mining, smelting and refining company, in 1999. However, eventually labour disputes led to a four-month strike, which ended in 2005 when Asarco filed for bankruptcy protection. Grupo subsidiary Americas Mining had submitted its own reorganisation plan to retain its interest in Asarco, offering to pay up to $2.7 billion in as well as post a $440 million to ensure payment of Asarco's liabilities stemming from the asbestos and environmental litigation. However, Sterlite and Asarco had signed a definitive agreement for the sale of substantially all the operating assets of Asarco for $2.6 billion in cash. ''We are delighted to have reached agreement on this important acquisition, which is a significant milestone for our group,'' Anil Agarwal, chairman, Sterlite, had said at that time. ''Reaching this agreement with a world class mining company is a giant step forward in our quest to successfully emerge from Chapter 11,'' he said. Asarco is considered as a logical and strategic fit to Sterlite's existing copper business and is expected to create significant long term value for all stakeholders. The integrated assets to be acquired include three open-pit copper mines and a copper smelter in Arizona, US and a copper refinery, rod and cake plant and precious metals plant in Texas, US. The asset acquisition is on a cash free and debt free basis. Sterlite will assume operating liabilities but not legacy liabilities for asbestos and environmental claims for ceased operations. Last October, Sterlite backed out of the deal saying it would need a substantial reduction in price after a drop in the copper markets. Sterlite has been facing several other issues regarding the takeover attempt since from the beginning. The deal drew opposition in the US as several Green groups have urged the department of Justice to review the bid. In their joint letter, Sierra Club, Environmental Integrity Project and Public Citizen/Texas Office claim Vedanta's environmental track record is worst than Asarco's, which filed for bankruptcy after being sued for $1 billion in environmental and asbestos-related litigation. Vedanta is essentially a metals player with interests in copper, aluminum and zinc. Apart from Asarco, its copper assets are a smelting business in India (which needs imported feedstock), two copper mines in Australia which it bought before its 2003 London listing, and the Konkola copper mines in Zambia acquired in November 2004. In zinc and aluminum, its assets are almost entirely in India. Asarco, formerly known as American Smelting and Refining Company, is an over 100-year old company and is currently the third largest copper producer in the US. It produced 235,000 tonnes of refined copper in 2007. Asarco's mines currently have estimated reserves of approximately 5 million tonnes of contained copper. For the year ended 31 December 2007, Asarco had total revenues of approximately $1.9 billion. New Delhi: 4/3/2009: Despite the asbestos disease epidemic in US, Europe, Australia, Japan, South Africa and elsewhere, a recent document titled "HUMAN HEALTH RISK ASSESSMENT STUDIES IN ASBESTOS BASED INDUSTRIES IN INDIA" by Central Pollution Control Board (CPCB), Union Ministry of Environment Forests has failed to recommend ban on asbestos. The study was undertaken by the Industrial Toxicology Research Centre, Lucknow for the CPCB. The political patronage enjoyed by the industry is an open secret. It is clear from the document that the ban on indigenous chrysotile asbestos mining has been lifted. diseases as per estimates based on US and European studies. It has drawn their attention to the order of Kerala Human Rights Commission that has ruled that exposing Indians to asbestos is a human rights violation. This paves the way for the eventual complete ban on asbestos and its products. On January 31, 2009, the Commission ruled that the government should take steps to phase out asbestos roofing from all schools in the state. BANI has requested these authorities to act immediately in public interest to ensure that use of the of all kinds of asbestos products is stopped because it is being used and encountered daily, because none of the schools, offices, legislatures, courts, hospitals, automobiles, private and public buildings in our country are asbestos free in our country. It has sought a Register of asbestos handlers and victims and award a compensation of at least Rs 20 lakh for the asbestos victims among other things. The Committee's Report on the Functioning of Central Pollution Control Board (CPCB) is must set the alaram belling ringing. Underlining the malaise that afflicts CPCB the Parliamentary Committee agrees with the Supreme Court’s monitoring committee on hazardous waste observation that 77 per cent chairpersons and 55 per cent member secretaries in State Pollution Control Boards are not qualified enough to hold the post. is no different. In fact it is worse. The manner in which one of the world's most vulnerable work force in the asbestos and ship breaking industry is compelled to work in degrading, dangerous and highly exploitative condition is a case of outrageous barbarism with active connivance of the government. When the world is preparing and planning to get rid of all forms of asbestos, it makes us look stupid in India to be still importing it and lifting the ban on chrysotile asbestos mining, we should devote our scarce resources to prevent the impending disaster by phasing it out as soon as we can. 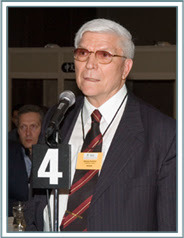 Safer substitute materials for white asbestos are available, they should be considered for use. In the foreword to the CPCB report, J. M. Mauskar, the ex-officio Chairman of the CPCB and Joint Secretary, MoEF writes, "Asbestos is mainly used for manufacturing asbestos-cement sheets, asbestos-cement pipes, brake lining, clutch lining, asbestos yarn & ropes, gaskets & seals etc. 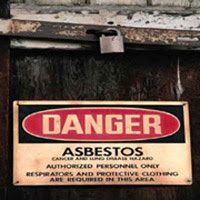 Organised asbestos industrial units are mostly using imported chrysotile variety of asbestos. The indigenous asbestos is mostly used by the unorganized sector. This report provides detailed information on human risk of asbestos exposure and its health effects. The study includes asbestos monitoring at work environment, characterization and toxicity of indigenous asbestos, occupational and personal histories of workers, their clinical examinations, lung function tests and chest radiological examinations. It appears from the present investigation that unorganized units have poor industrial hygiene conditions. The report also recommends various preventive measures to reduce the risk of workers exposed to asbestos." 8. All the organized and unorganized industries should ensure good house keeping practices to reduce the asbestos exposure. 9. Work place asbestos standards should be brought down from 1 fibre/cc to 0.1 fibre/cc under the Factories Act, 1948 to reduce the risk of asbestos exposure. 10. Workers should be given education about the risk associated with asbestos dust exposure, potential health effects, etc. 11. Display board should be provided showing the hazards associated with asbestos and recommended precautionary measures. Although some 60 countries have recognized that safe and controlled use of asbestos of all kinds is not possible, CPCB under tremendous influence of the asbestos industry recommends standards even at the risk of sounding ridiculous in the comity of nations. It has come to light through RIght to Information application and admitted in the parliament by the Minister concerned that the studies conducted by the national occupational health institute is being funded by the chrysotile asbestos industry. The recent CPCB document refers to Project Advisory Committee members whose suggestions were deemed valuable but nowhere in the document does one find the names of these members. 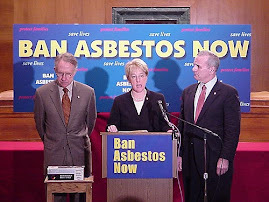 One would not be surprised if these members who facilitated the lifting of ban on mining of chrysotile asbestos and influenced the study to recommend continued use and manufacture were representatives from the chrysotile asbestos.